From the Westfield, New Jersey, law office of O’Connor, Parsons, Lane & Noble, our highly experienced attorneys handle personal injury and employment law cases. We serve people in the Hunterdon, Middlesex, Somerset, Jersey City and Newark areas as well as those in Passaic and Bergen counties. We offer free initial consultations to people who have suffered harm due to someone else’s actions. Every partner at our law office has secured a multimillion-dollar settlement or verdict on behalf of a client. For example, we obtained the largest wrongful birth verdict in the state. Our team returned $28 million to a mother whose physician made a series of mistakes, resulting in the birth of a child with a serious defect. In a case involving discrimination against a client based on sexual orientation, we obtained a $22.6 million verdict. 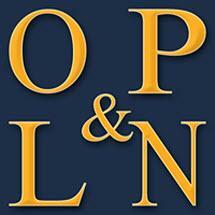 The attorneys at O’Connor, Parsons, Lane & Noble are comfortable in the courtroom and in negotiations. We know how to assess a client’s case, illustrate damages and hold negligent parties accountable. The team members at our law office hold honors such as being listed in The Best Lawyers in America, Super Lawyers or becoming fellows with the American College of Trial Lawyers. To accommodate our clients, we offer translation services in Portuguese and Spanish.